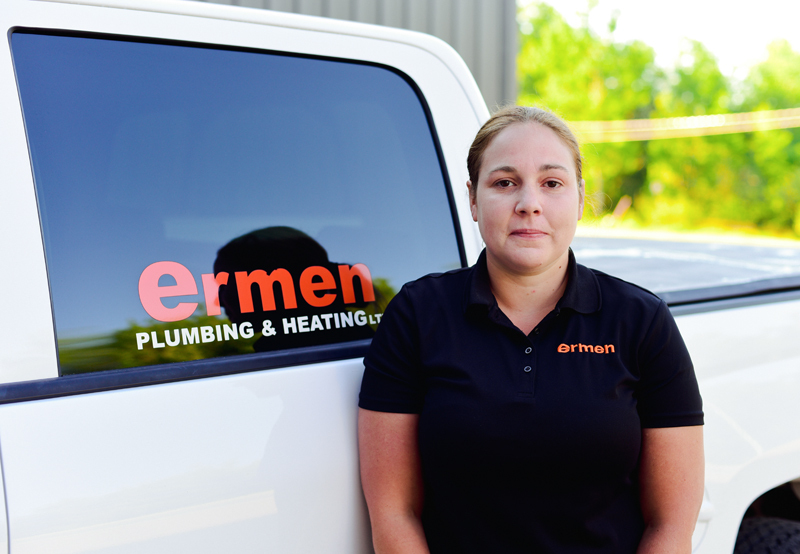 A plumber since 2009, Melissa Irving-Budd has been part of the Ermen family since 2015. She understands the importance of great work, great service and makes sure to deliver both on each and every service call. Being a woman in an industry that has been male-dominated for so long doesn’t stop Melissa from being a top performer day in and day out. She has taken advantage of welcoming colleagues to help grow and improve as a plumber and has the ability to bring an empathetic touch to what can be a difficult profession. She recalls a situation where was able to assist the owners of an in-home daycare. A mom of three (Issac, Noah, and Ava) from Salisbury, Melissa is an avid cook and loves spending time with her kids. She’d love to pass on the reminder that plumbing needs regular maintenance, and that maintenance needs to be done by a professional licensed plumber.